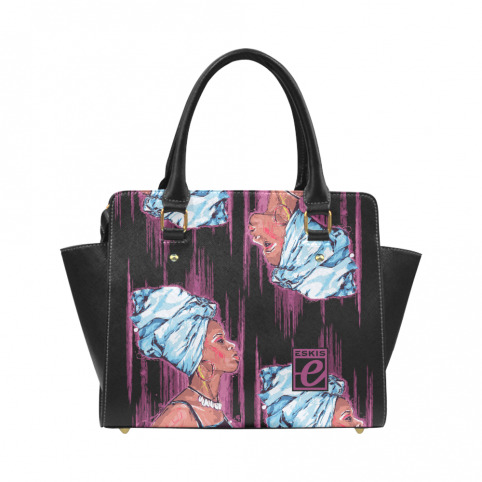 Handbag for women and girls fashionable, elegant and personalized with the work of the Artist (680g) : Limited Series. Made from high quality PU leather. Interior zip lining, large capacity. Double handles, removable and adjustable shoulder strap. Zipper closure. Sizes (cm): 28x10x23. Canvas Kid's Shoes (655g) : High top shoes for children, designed for kids fashion, elegant and marked with the work of the Artist (Limited Series). 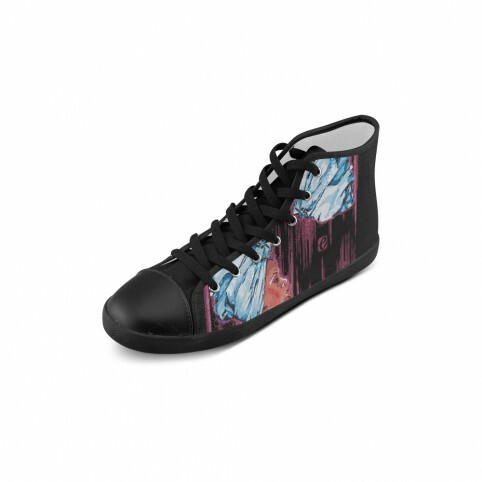 High ankle with lace closure (grommets), with high quality canvas tongue. Soft and light lining. Durable rubber outsole, with round toe, lightweight and robust to withstand daily wear and easy to wash.
Woman Dress, thick but lightweight fabric, type "diving". Model printed in the colors of the Artist. Limited Edition of 50 pieces.